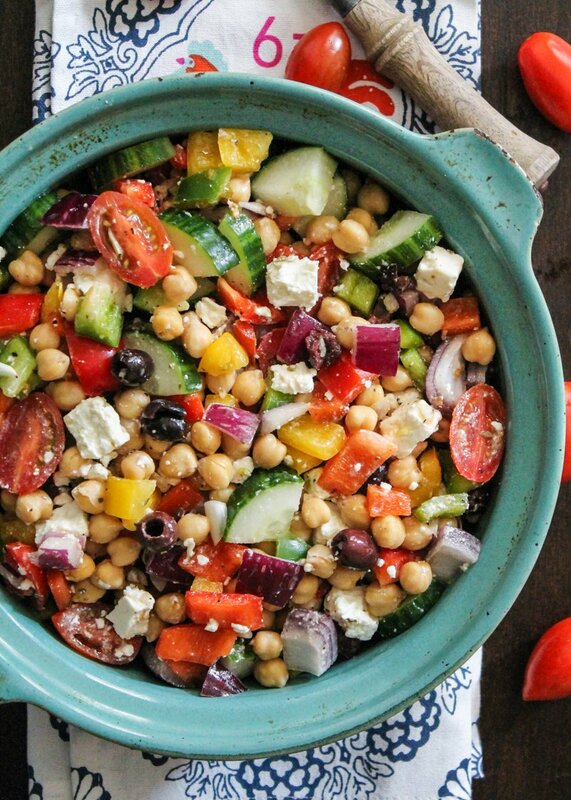 Combine chickpeas and veggies in a large bowl. Add the dressing to the salad bowl [with first five ingredients] and stir to combine. Let the salad sit in the refrigerator for 3o minutes or more to let flavors meld. Add feta just before serving.